As you know, network and data security are very important aspects of any organization’s overall IT planning. When it comes to implementing policies and procedures, there are a variety of ways to lock down your data, including the use of access controls. More specifically, rule-based and role-based access controls (RBAC). This method allows your organization to restrict and manage data access according to a person/people or situation, rather than at the file level. 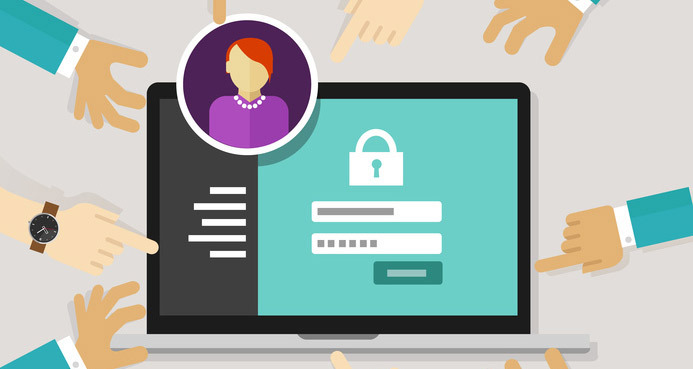 Whether you authorize users to take on rule-based or role-based access control, RBAC is incredibly important. Within some organizations - especially those that are on the smaller side - it might make sense that some users wear many hats and as a result they need access to a variety of seemingly unrelated information. In those situations, the roles and rules may be a little lax (we don’t recommend this! ), or they may overlap a bit. However, in most cases, users only need access to the data required to do their jobs. With RBAC, you can ensure that those restrictions (or allowances) are in place and that your data will be accessible only by the people, and under the circumstances, of which your organization approves.Now that you know why RBAC is important, let’s take a look at the two different forms of Rule-based access control (sometimes called RuBAC) and role-based access control (aka RoBAC). In this form of RBAC, you’re focusing on the rules associated with the data’s access or restrictions. These rules may be parameters, such as allowing access only from certain IP addresses, denying access from certain IP addresses, or something more specific. In a more specific instance, access from a specific IP address may be allowed unless it comes through a certain port (such as the port used for FTP access). These types of specificities prevent cybercriminals and other ne’er-do-wells from accessing your information even if they do find a way in to your network. Rule-Based Access Control can also be implemented on a file or system level, restricting data access to business hours only, for instance. When dealing with role-based access controls, data is protected in exactly the way it sounds like it is: by user roles. Users are sorted into groups or categories based on their job functions or departments, and those categories determine the data that they’re able to access. Human Resources team members, for example, may be permitted to access employee information while no other role-based group is permitted to do so. Role-based access controls can be implemented on a very granular level. Perhaps all of HR can see users employment records, but only senior HR members need access to employees social security numbers and other PII. What's the Difference When It Comes to User Access? The primary difference when it comes to user access is the way in which access is determined. Role-based access depends heavily on users being logged into a particular network or application so that their credentials can be verified. Rule-based access may be applied to more broad and overreaching scenarios, such as allowing all traffic from specific IP addresses or during specific hours rather than simply from specific user groups. In some situations, it may be necessary to apply both rule-based and role-based access controls simultaneously. For example, if you had a subset of data that could be accessed by Human Resources team members, but only if they were logging in through a specific IP address (i.e. from their office computer, on the office network). This would essentially prevent the data from being accessed from anywhere other than a specific computer, by a specific person.Are you ready to take your security to the next level? Download our whitepaper, Security In Layers, today.